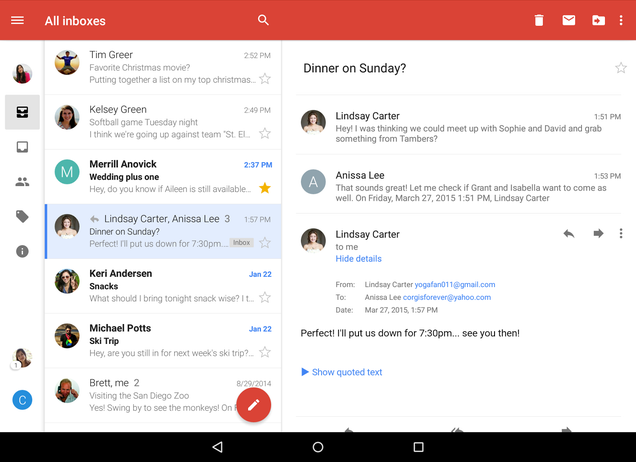 Gmail just got a lot better on Android devices. Finally, after years of gripes, you can finally look at all of your email accounts at once with a new unified inbox. It even looks prettier, too! The Official Gmail Blog just announced the new "All Inboxes" feature. The post explains that even non-Gmail accounts will work, so you're in luck, Hotmail users. Third party emails will also enjoy the same threaded message view that Gmail users have long loved. The new features will roll out for all Android users in the coming days.